Home Lottery 👉9 Widespread Lottery Myths Debunked! Many of us have preconceived opinions about lottery play but some of these beliefs are simply not true! Lottery myths, like any other kind of myth, are ultimately false beliefs in what lotteries are all about. It’s time to expose the most widespread lottery myths for what they truly are, especially if you like to play lottery USA Mega Millions or the US Powerball this week, (something which you can do regardless of where you are in the world)! You’ve probably heard this one before – this is the most commonly cited lottery myth. Yet, it is not exactly true. Let’s consider the statistics. According to the US National Weather Service, the odds of a person being struck by lightning in their lifetime are 1 in 600,000. At face value, it would indeed seem that you have a greater chance of being hit by lightning than beating the 1 in 292 million odds to win the US Powerball jackpot. Yet, this myth was debunked back in 1996 by Iowa Lottery commissioner Ed Stanek. Stanek pointed out that in 1995, 1,136 people won a million dollars or more playing North American lotteries compared with only 91 who were killed by lightning. Stanek noted that Powerball is not an “all or nothing” game and players can win small amounts even if they match only some of the numbers in a draw. The bottom line suggests that it would not be wise to go outside during a lightning storm but to play the lottery instead. This is a serious, frequently mentioned criticism of lotteries. Critics call the lottery a “regressive tax” and say that lottery players tend to have lower income and to be less well educated than non-players. If you think about it, playing the lottery is entirely voluntary whereas taxes are compulsory payments to support the government. In addition, some studies indicate that middle-class citizens are most likely to play the lottery. Also, what about the many celebrities who play the lottery – George Clooney, Hugh Jackman, Sylvester Stallone, Woody Allen, Madonna, and others! These “higher income” players enjoy the thrills of playing the lottery just like everyone else. Not true! While only a small percentage of players actually win cash prizes in a draw, the number of people who actually benefit from a lottery is huge. Lotteries devote a significant percentage of their ticket sales to charitable causes, including education, environment, healthcare, social issues, sports, veterans affairs, and more. We all benefit from the lottery, even those of us who never played the game! Myth #4: If you keep playing the same numbers, eventually you’ll win the jackpot. False! 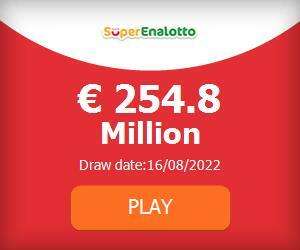 The numbers in a lottery drawing are chosen randomly, with no connection as to whether you’ve played them previously. Theoretically, you could play your numbers until infinity and they would eventually win the jackpot but realistically, the chances of your frequently played numbers winning the jackpot are as random as anyone else’s. On the whole, winning the lottery doesn’t really change you. If you were happy before, you will be happy after winning the lottery. If you were a jerk before, you will still be a jerk. While lottery money can give you financial freedom, it can’t buy you love or guarantee happiness. Still, winning the jackpot would be a major life-changing event!